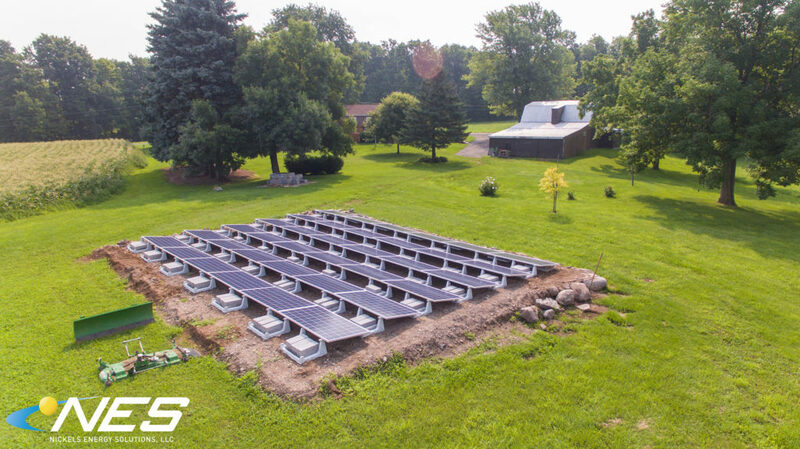 Ballasted Ground Mount installations provide the lowest cost ground mount strategy. The Ballasted strategy is also the quickest to install. This strategy is exactly what is installed on a Commercial building flat roof. We just simply took that concept and put it on the ground! 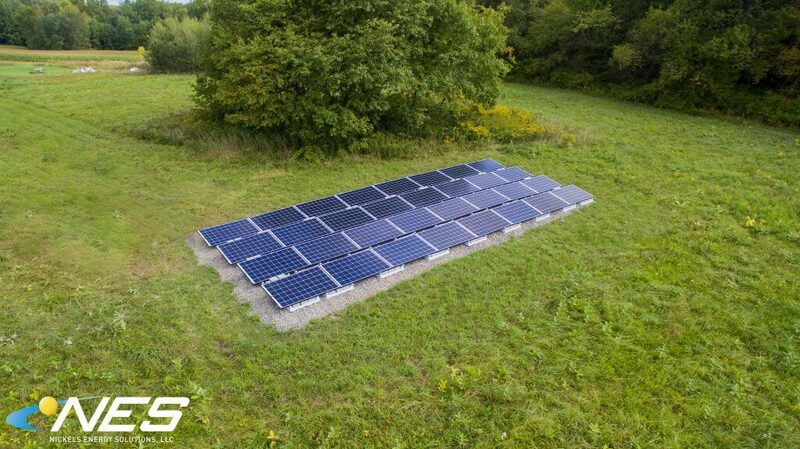 We install the solar panels onto a stone foundation. Next, the solar panels are attached to plastic trays. Then, the plastic trays are weighed down by dozens of concrete blocks. 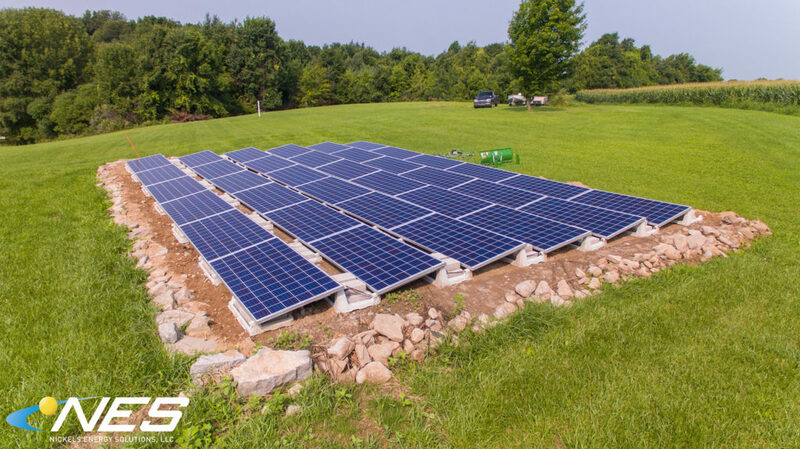 This installation maximizes solar production in the summer months due to a 10 degree tilt. 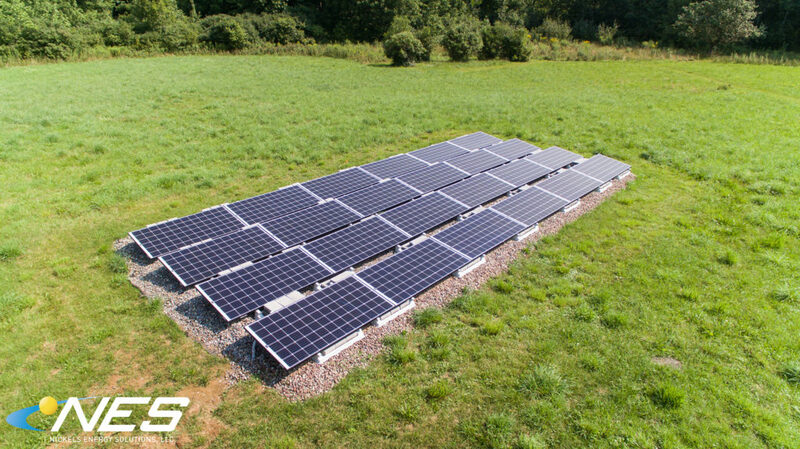 This installation will overproduce so much electricity in the summer that your Utility will have to give you credits on your account. These credits will be used automatically in the winter months. In the winter, we expect these systems to perform very little — But that is okay! 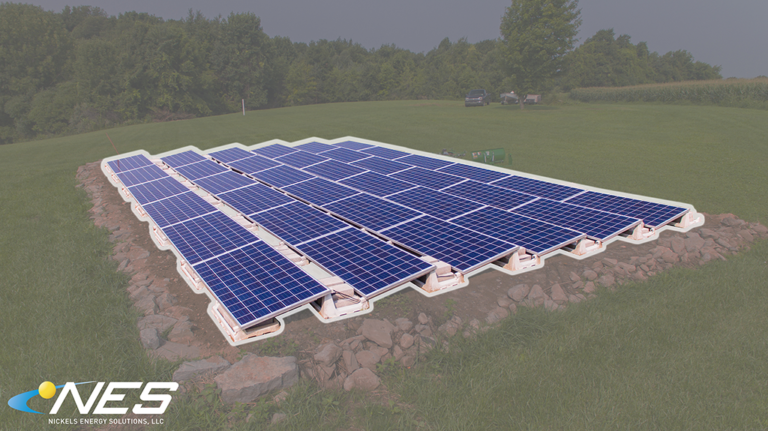 We have designed the Ballasted Ground Mount to produce enough credits to carry you through the entire winter season. Then, once spring rolls back around you will go back to producing everything you need + some extra credits, too! 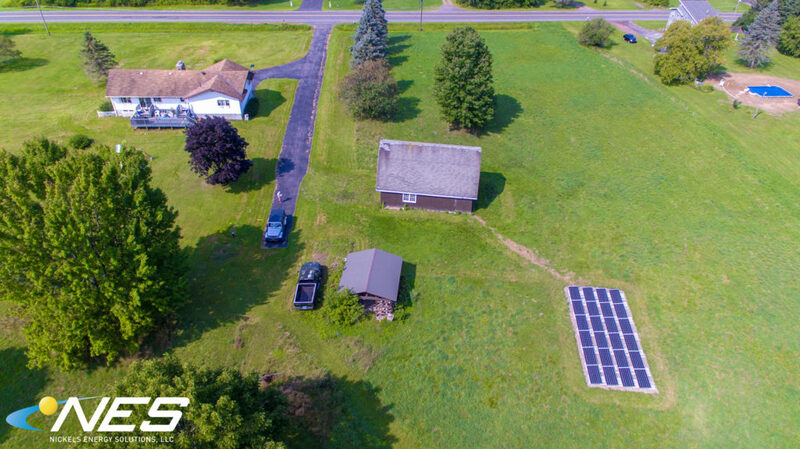 Watch the Video to see an example of a roof mounted solar project! Q: What are some “pros” for the Ballasted strategy? A: The main “pros” for the Ballasted system is the lower cost and faster installation. Additionally, this solution is only a few feet off of the ground. This makes it easy for a property owner to add some landscaping or a fence to hide the installation. We think the installation looks great, but totally understand that someone may want to hide their project from plain view. Q: What are some “cons” for the Ballasted strategy? A: The main “con” for a Ballasted project is that the winter production is pretty poor due to the low tilt angle of the panels. Snow will fall and accumulate more on the Ballasted strategy than any other strategy. 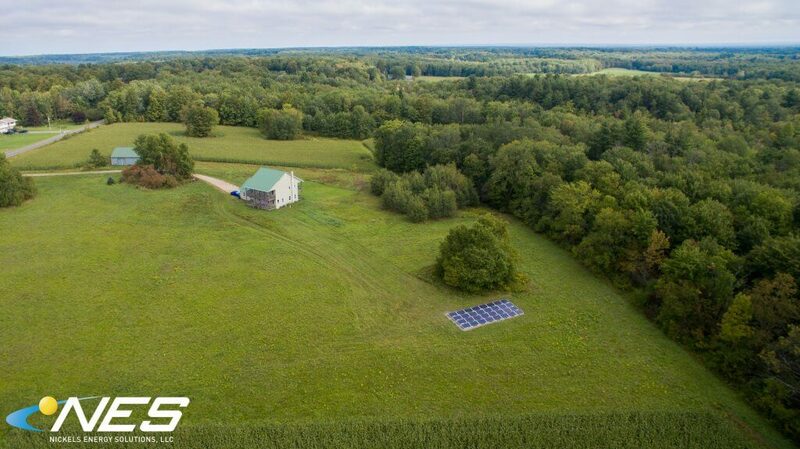 However, if the system is designed by our knowledgeable team, we will make sure you have enough electricity credits to cover your needs all winter long! Q: Which ground mount strategy is the strongest financial investment? A: The Ballasted Ground Mount results in the strongest financial investment. The upfront cost is much lower than other ground mount strategies. With a lower upfront cost and nearly identical lifetime savings, the Ballasted strategy is an easy choice for shortest payback period.